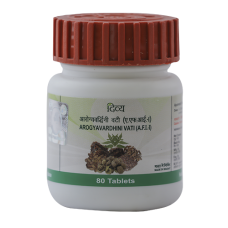 ArogyavardhiniVati is a highly effective Ayurvedic medicine that gives you strength, increases your energy and boosts your immunity. It is a complex combination of natural and herbal extracts which have multivitamin properties and nutrients. They heal ailments, help you regain your vitality and nourish your general health. It is a completely natural formulation and has no side effects. 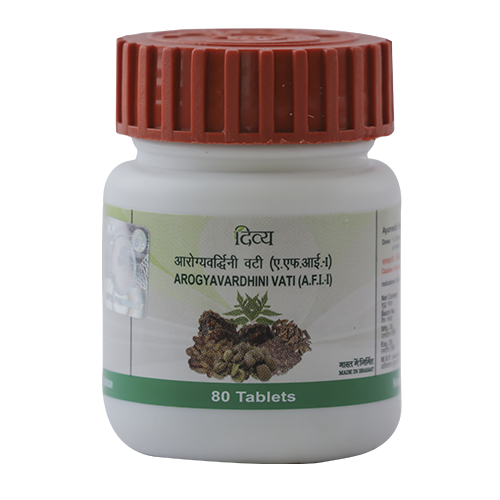 Take ArogyavardhiniVati regularly to gain a holistic healthy life. Rejuvenate your body and mind with this potent Ayurvedic medicine.